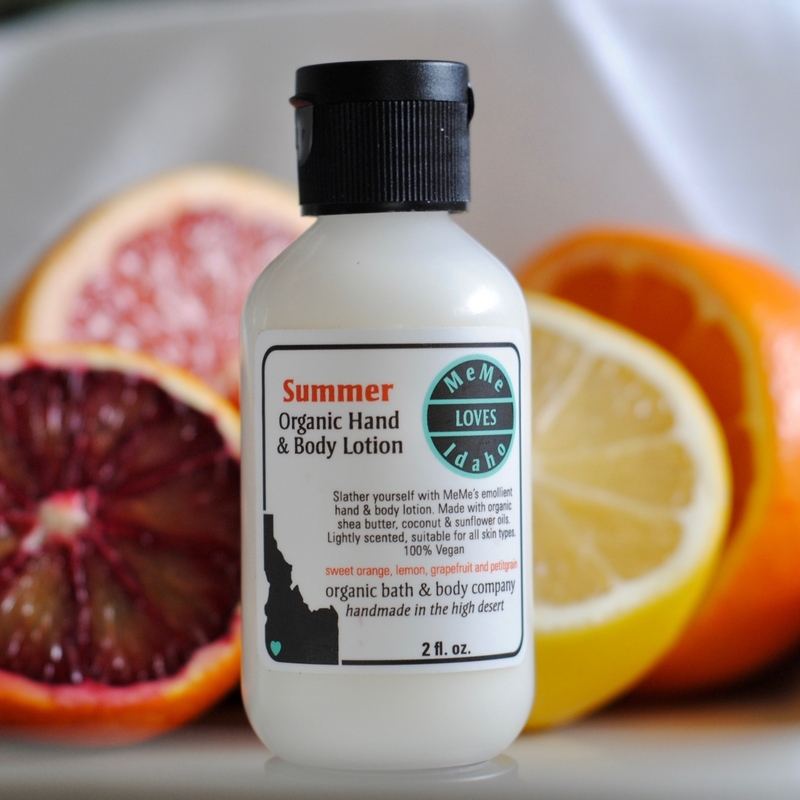 Slather yourself with MeMe’s organically emollient hand and body lotion. 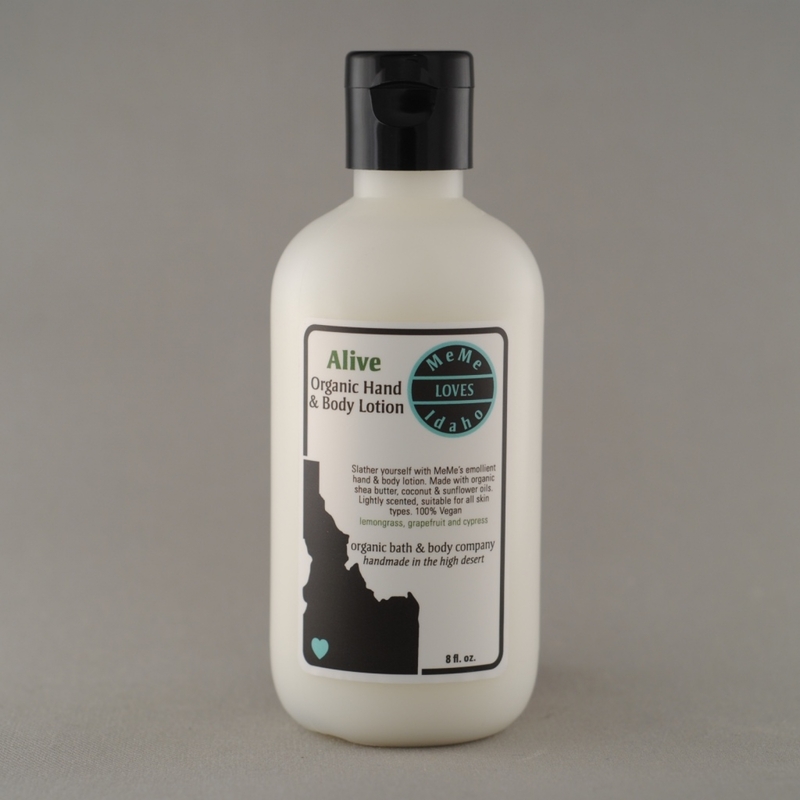 Handmade with organic shea butter, coconut and sunflower oils, organic aloe vera extract and lightly scented with MeMe’s signature essential oil blends. Suitable for all skin types. 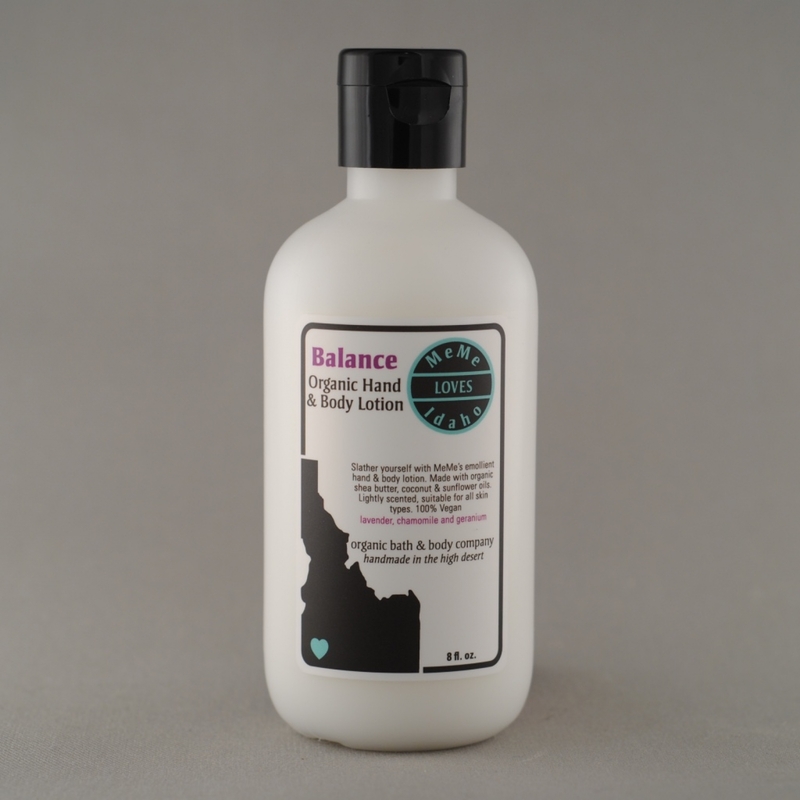 available in 8 ounce bottles & 2 oz. sample sets. Vegan. Gluten & Paraben Free.